PennsylvAsia: 名所フィラデルフィア百景: 100 Famous Views of Philadelphia. 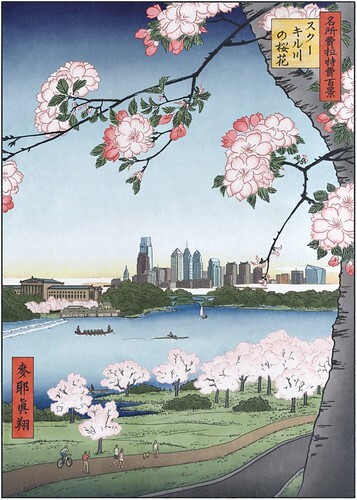 Artist Matthew Meyer is now selling prints from his Japan-inspired "100 Famous Views of Philadelphia". They're amazing, they're in time for Philadelphia's sakura festival next month, and they're for sale on his Etsy page. The series draws its name from "One Hundred Famous Views of Edo", a famous series of prints from the 19th century that is both vintage postcards and art.